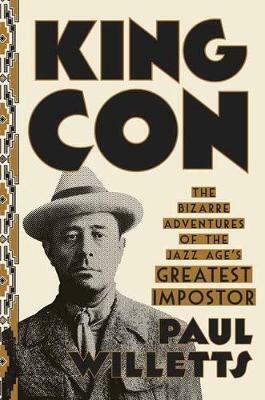 “King Con” by Paul Willetts a masterpiece. The author did an extraordinary job in narrating events and bringing to life the paper trail. I don’t find blood and gore in movies horrific, but the indifference of the perpetrator towards victims is frightening to me. I read a book once about teenage killers and one of them was asked about why he tortured animals. His reply was that animals are “something insignificant.” That is terrifying to me. I can be callous too but not cruel. The con artist in Paul Willetts’ biography just went from one victim to the next. He wasn’t violent but he destroyed lives nevertheless. Completely remorseless. Quite self-destructive too. I guess it's just the thrill of taking risks and certainly that kept me turning the pages. Incarceration is the only option here and even then I hate to house him next to other inmates.